Physical Description: Asahi was an average looking kid of 9 years. He has an average height of 150 cm at his age and of weight of 35 kg. He usually tries to look styles and always changes his cloths to look good and can able to impress some people with his style. He usually changes the colour of his T-Shirt and wears a black jeans with a jacket covering his T-Shirt. He wears a simple set of shinobi footwear’s of black colour. 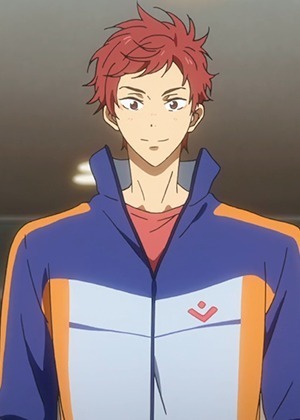 Mental Description: Asahi has a well-defined personality. He is not unstable. He is a man that has firm beliefs, and looks on the world through prism of his beliefs. He follows his beliefs with vigor, always willing to go to great lengths for the sake of his goals and beliefs. He is not a perfect man, but he tries to be the best he actually can. It is no easy task in these dark times of turmoil and war. Asahi is not easy to understand, and his behaviour is not always backed up with clear reasoning. What affects his views, thoughts, actions, philosophy and his general personality are following things: his love towards animals, strong need and love for battle. He is calm, overall, but can get angered. Some things will anger him outright on very sight, like idiot. But Asahi can hide, ignore and control his rage, as situation demands it. He knows better than to let it get the best of him. Also, anger control prevents him from being rash, and looking immature. Asahi knows very well that looking immature is bad for his image, which is very important to him. He tries to keep image of respected, calm, mature, wise ninja’s, as he knows that his goals might be a lot further away from their completion if he was not as he presents himself to the world. History: Asahi was borned in November and the day he taken birth he was very weak to open up his own eyes. SO at first he wasn’t able to see anyone cause he wasn’t able to open up his eyes. And then as he was getting bigger and bigger he starts getting stronger, his arms and legs became more and more powerful on combat purpose due to his love to fighting. On Asahi’s 5th birthday his parents take him on a trip with them to another village cause they were both jounin level shinobi’s and on the day when they were travelling back to leaf, their cart is attacked and both of Asahi’s parents were injured and he was so small to do any jutsu or to fight them with his almight. And then when the bandits are just about to kill his parents, Asahi’s gets angry and he stands up and says to them “Get away from my parents.” Because of trauma on that day Asahi was able to awaken his powers of using wood jutsu’s and sends the bandits’ flying away. And then he goes near his parents and asks them if they are alright and then Asahi’s parents taught him about how to use jutsu’s and other abilities for self defense. And then when he was turned 8 his parents has made a decision to send him to the academy for his studies. And then his parents were very happy that their son has a unique ability and then Asahi turns 9 and on his 9th birthday his parents have gave him a new weapon with he hold closer to him and put it in a show case in his house and decided to use it when there is a battle or a war. And then after some months later Asahi’s both Mother and Father have died due to some reason and on the day Asahi decided to become a medical nin that will serve the hidden leaf and cure any illness coming in his way. And Asahi knew to do that he has to study hard and has to proof his loyality to the leaf country in different manners. Last edited by Senju Asahi on Thu Aug 02, 2018 10:50 am, edited 1 time in total. This BL application is not long enough coming in at 296 words, as Leaf Council we expect a 100 word history minimum for joining and with a BL application its 200 words, you are just short of this. Please let me know when you update this. Taken to Council for the BL Application. Please post a request for a Academy Student HERE. If needed please request a Name Change HERE to make your account name match your character name. As a new player below is the Student package, please post your starting stats as reflected as below in your profile. Starting Yen has been given, Bloodline has been approved and Leaf Access has been granted! If you want to join our community Ooc! We have a Discord server. (Click the picture). Want to be part of our village chat? just go to "#Role-request" channel and state that you would like to have leaf access with the link of your character approval you were approved. Easy as that!